Here are some other stuff for "Road Rovers" from fans that have been sent in over the years. Feel free to check them out. But please remember, that the items found here aren't mine. They belong to the artists who have graciously allowed me to post them here. A lot of hard work has gone into each item. Thank you. A submission by Joe "D.C. Road Rovers Fan" Klemm of what if the Animaniacs hosted that old show The Dating Game with the Road Rovers as contestants. Shag-"A Hair of the Dog that Bit You", etc. Scooby-Doo was born in 1969; Shag was born in 1996! 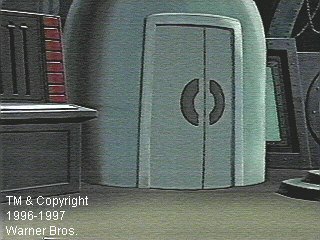 Shag is voiced by Frank Welker, who also did the voice of Freddie on Scooby Doo! Something I found lying on my hard drive that mixes RR with MST3k.